Massachusetts people are moving to pick a new Governor. The Democratic caucuses begin in a few days. The GOP meetings have already started. As I see it today, February 2nd, Charlie Baker leads the pack. His bold move, last week, to support raising the minimum wage by way of Speaker DeLeo’s legislation, ensures its passage; none of the five Democrats has yet made the same pact. Baker also supports expanding the earned income credit for lower-wage workers. None of the Democrats has even, to my knowledge, mentioned this initiative. Big advantage for Baker. So is the $ 1,014,906.36 that Baker reported raising last year, with more to come, much more. In charge finally, Baker stumbled a bit when the question of seeking the death penalty for Dzhokhar Tsarnaev was put to the candidates. All of the Democtrats said that no, the death penalty is not OK for any defendant in Massachusetts; we have abolished it. This is true and principled. Baker’s response ? That he has long advocated the death penalty in very heinous crime situations. His statement seems a step backward for our boldly progressive state. And where do the Feds get their sudden death penalty willingness ? Sirhan Sirhan assassinated Robert Kennedy ; he didn’t get a death peanlty. Is Tsarnaev more heinous ? Or do we simply live in miore barbarous times ? Certainly a great deal of outright barbarism unfolded here in Boston after the Marathon bombing. Who can forget the Antigone situation that arose over the burial of Tamerlan Tsarnaev ? It is not good, not at all, to see Baker play to the Creon mindset. Advantage then to the five Democrats, as their party’s caucuses begin. 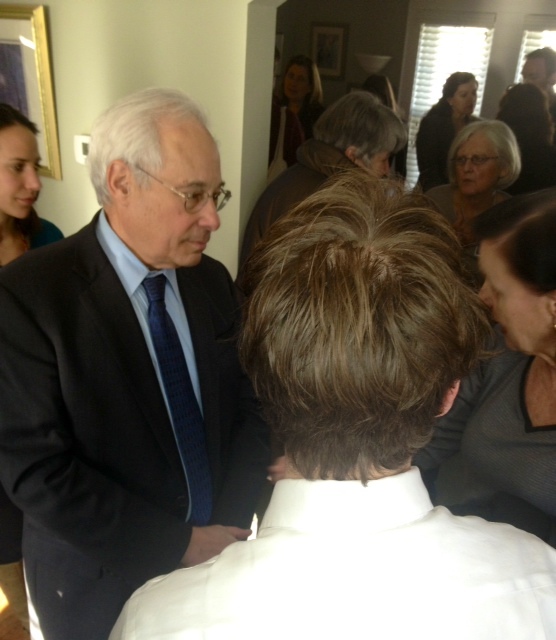 If yesterday’s Don Berwick houseparty on Chesbrough Road in West Roxbury was any indication of interest, the caucuses should be full-house. 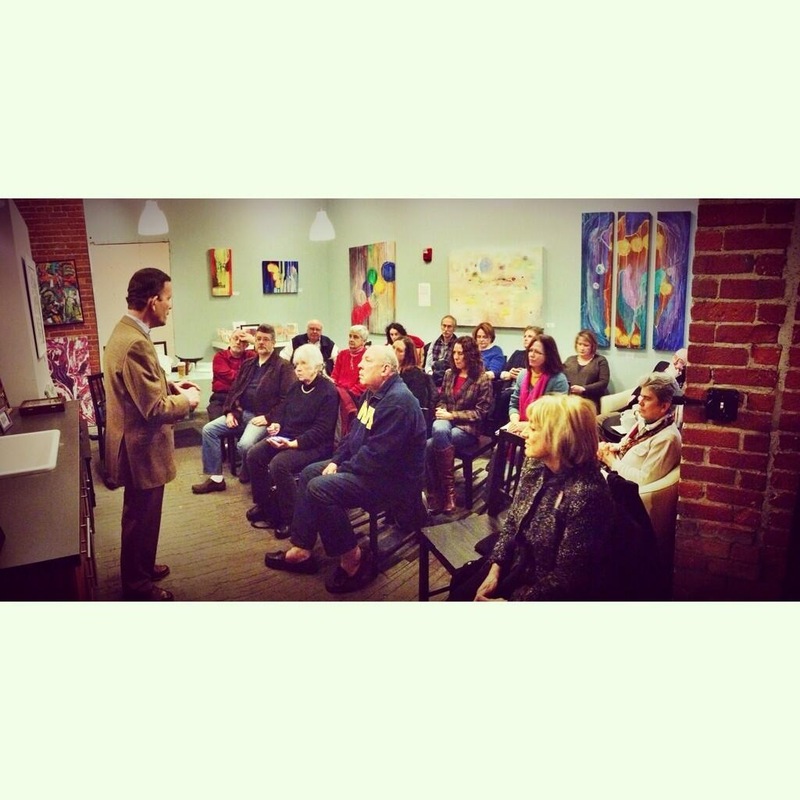 75 locals crowded into every nook of the Chesbrough Road dwelling to hear the gentle, classy Dr. Berwick deliver his social justice speech and answer questions — most of them well informed. And Berwick isn’t even one of the two “majors.” Imagine how many are likely to caucus for Steve Grossman, our State Treasurer, or for Martha Coakley, now the Attorney General. Juliette Kayyem, too, with her personal charisma — 9,749 twitter followers as I write this — is sure to draw many to the hundreds of Democratic town and ward (each ward of a city holds its own) caucuses taking place between next weekend and March 2nd, the last day on which they can occur. So yes, for the five Democrats — Joe Avellone is the one not mentioned above — it’s now crunch time. Any candidate who can’t secure 900 pledged delegates — 15 percent of the total who will vote at the Democratic convention — won’t get his or her name printed on the Democratic Primary ballot. Fund-raising isn’t everything, of course. But in MA, each donor is limited to $ 500 per candidate per year. Thus the list above represents a lot of people. The caucus-goers choices aren’t likely to differ radically from the donors’ picks. In any rate, it’s my working hypothesis as to who — as of today — will make the “15 % cut” and who won’t. ^ charisma and a progressive smile gets Juliette kayyem lots of attention — and probably a spot on the Primary ballot…..
^ or maybe it gets Kayyem second place on a Steve Grossman ticket ? we will see. For Donald Berwick, who by my analysis falls short, it’s a good thing that the caucus process lasts for a month. He can step up his game in that time — probably needs to. 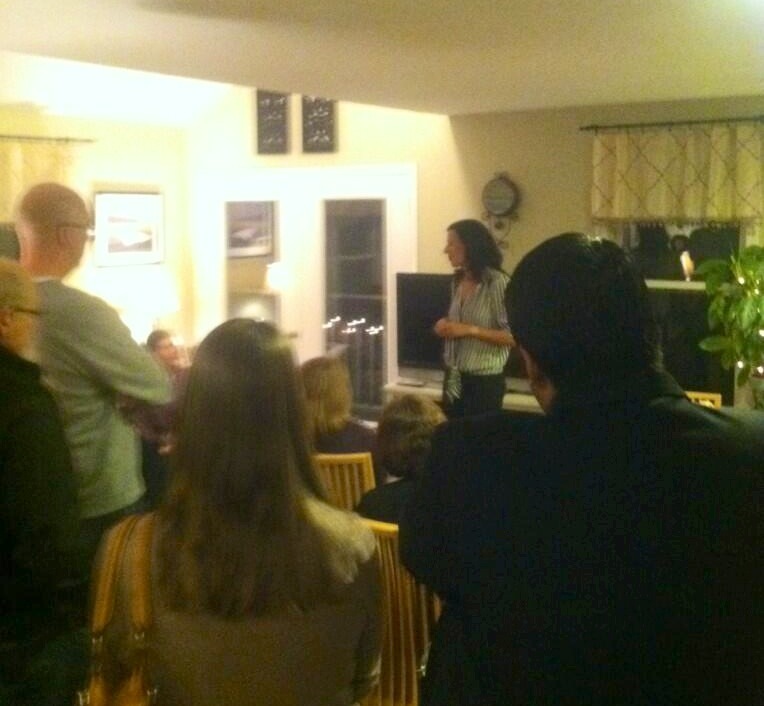 Juliette Kayyem can’t rest calm, either, sitting at 17 % of the total. But then what ? 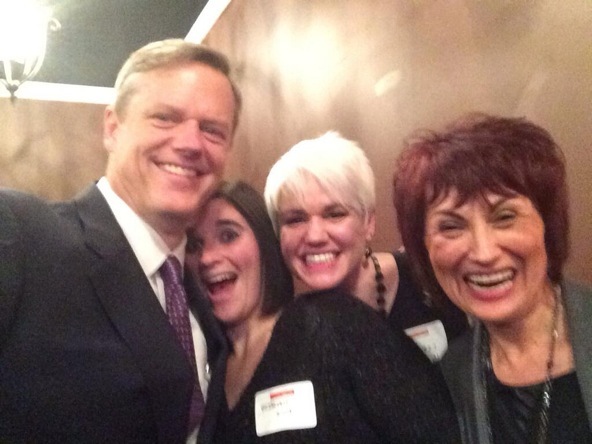 Coakley and Grossman clearly dominate — no surprise there — which means that Kayyem may want to think about taking the Lieutenant Governor position on a Steve Grossman ticket — if offered. It would be a very strong Democratic pairing. It represents about 50 % of the Democratic convention. The stars are beginning to align.